Providing time-critical replacement after sales parts is an essential part of servicing business and industry. Computergate’s logistics services can be tailored to your business’ budget and timeframes to support you in providing advance replacement for high-value, complex products such as enterprise servers. storage and networking products through to high usage fast replacements parts. Our Computergate Service Centers have the warehousing and distribution capabilities as well as the expertise and delivery network to provide specialist storage, pick, pack and RMA services. we offer storage, inventory management and subsequent delivery of replacement spare parts within your critical timeframes. Inventory management and distribution can also be handled by Computergate, ensuring your clients have the required parts as needed and can order and receive necessary items quickly. No one needs to wait long for accessories or replacement parts. Deliveries of spare parts can be made quickly to meet the clients SLA at the customer’s nominated location, because the inventory can be geographically positioned as close as possible to your clients. We can provide warehousing services to safely store your spare parts. We manage storage for single and multiple locations. We handle the order details and delivery and coordinate the picking, packing and despatch of your items, whether they are stored onsite or offsite. We receive your stock orders, coordinate storage and can maintain your inventory, including unloading, palletising and stocktaking. Moving large and sensitive IT and specialised technology requires a careful logistics solution. Computergate’s No Limits philosophy means we have the experience and equipment to safely transport your goods to any destination. 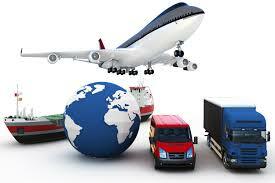 We assist with simple moves across town, or can coordinate the delivery of multiple units interstate and worldwide. Large electronic items such as computer servers, screens and precision testing equipment have delicate internal components and require special packaging techniques and materials. Our trained specialists know the most appropriate materials and packaging method for any electronic item, no matter how fragile, heavy or awkward. We utilise pallets, boxes, crates or cases as well as special cushioning materials to protect your goods during transit & delivery. We offer standard as well as custom made packaging to thoroughly protect your specific items. Certain large and/or sensitive equipment such as servers and racking require transportation using a specialised vehicle that is equipped with air-ride suspension and tailgate lift. 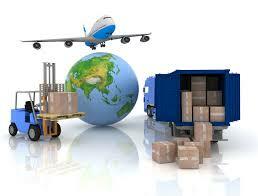 Our logistics team can assist you in identifying the best way to transport your goods. Receive personalised advice from a Computergate Service Centre, where our trained professionals can tailor a service to your needs. 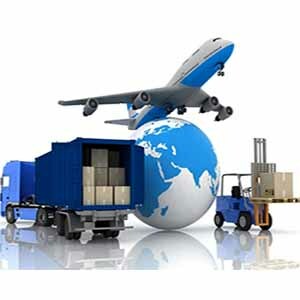 Computergate supports your business and customers with professional logistics solutions, warehousing and delivery for timely fulfilment of your after sales parts orders. Call Computergate or send an online enquiry to get started.